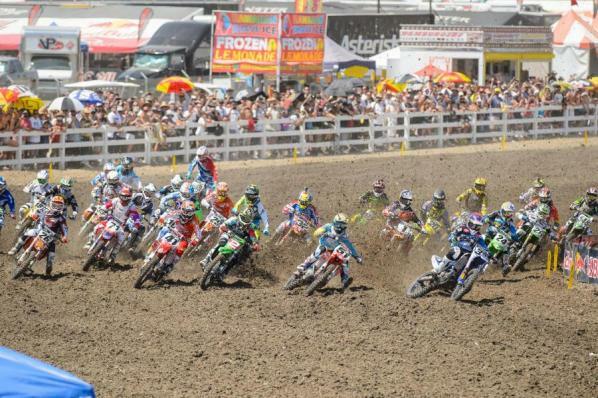 Today concludes not only the Red Bull Lake Elsinore National, but the entire 2013 Lucas Oil Pro Motocross Championship as well. And if you're a pro motocross racer whose name isn't Ryan Villopoto or Eli Tomac, you're probably glad to see the season conclude. 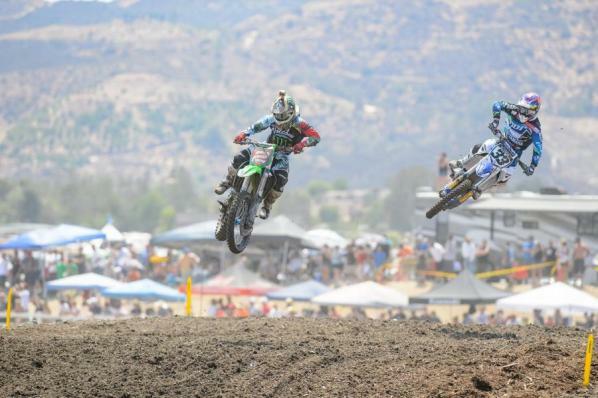 Now, before the long, barren wasteland known as the off-season kicks into gear, join us for one final National race report as we tell you how it all went down at Lake Elsinore. 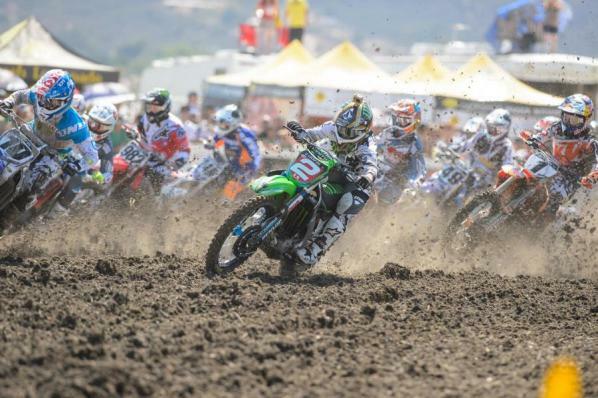 Josh Grant pulled a mean holeshot—his fourth of the season—around the newly located Lake Elsinore start. 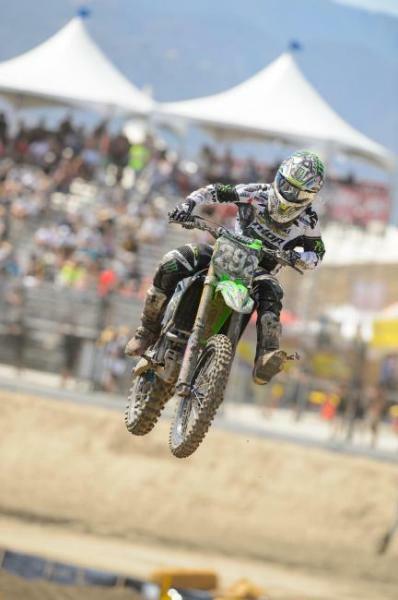 He was able to hold off a charging Ryan Villopoto quarter of the race. Villopoto eventually got around Grant after the JGR Yamaha rider had a couple of minor bobbles. 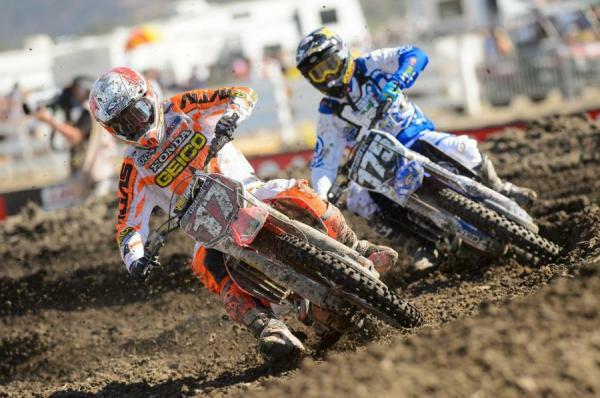 Ryan Dungey was able to get around Barcia, and then Grant, with just two laps left. 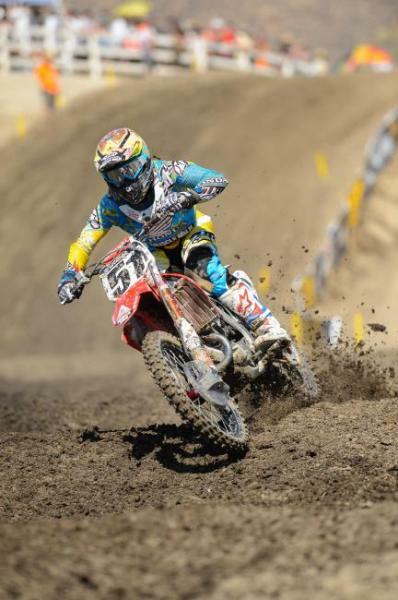 Trey Canard rounded out the top five with a solid ride. ...required an I.V. after shortly after the end of the first moto and wasn’t allowed to race the second moto. ...but Villopoto overtook the lead just a few corner later. 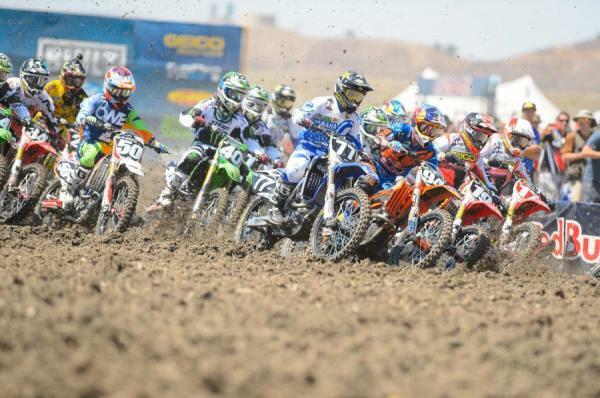 Dungey and Barcia were also able to get by Brayton and the top three began to separate from the field. Though the top three were riding their own race, plenty of riders were swapping positions inside the top ten. Jake Weimer emerged as the top rider in that pack. 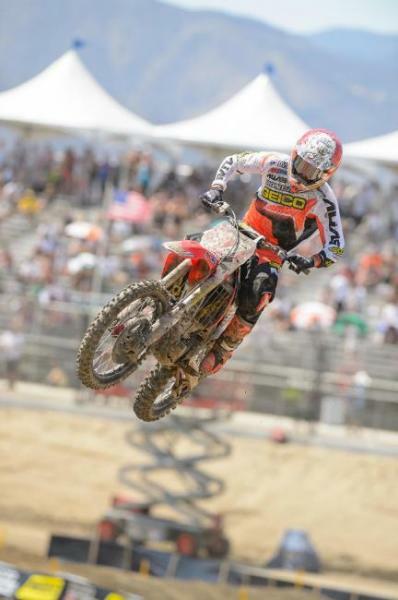 Canard crossed the finish line in 27th after the first lap, and amazingly enough, he ended the race in 10th. 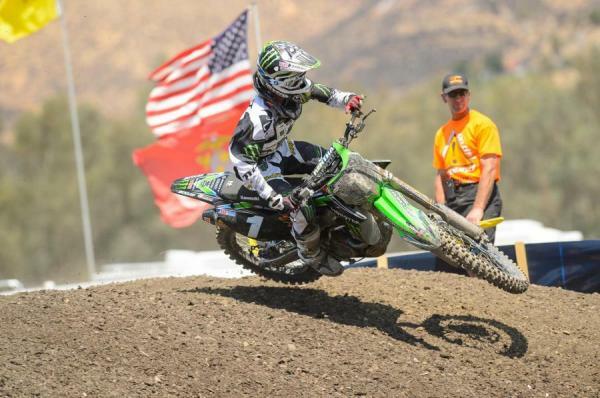 The last 450 overall of the season went to the new champ, Ryan Villopoto. 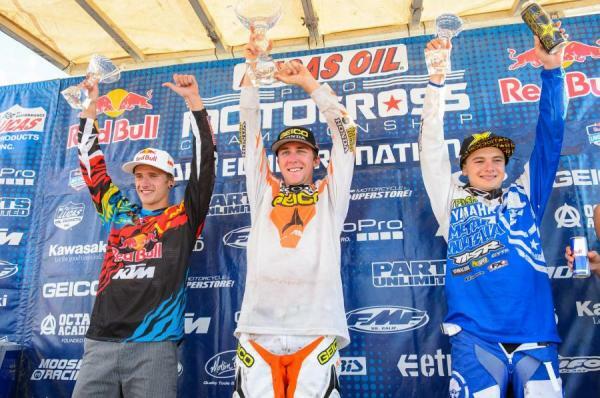 Ryan Dungey and Justin Barcia—Team USA’s MX1 and MX3 riders—rounded out the podium. You can't tell from this picture, but Zach Osborne pulled a wheelie all the way down the start stretch to take the holeshot. Marvin Musquin had a good race going early but it was cut short when he cased a big double and coughed up a bunch of positions. After the race Tomac said he didn't get along well with the track, but he was still impressive. When he passed Jeremy Martin for second in moto one, he used the last bump in a roller section to jump on top of a tabletop and streak by while Martin was floating in the air above the jump. The crowd in the immediate area went crazy, and for good reason. It was one of the best passes of the season. 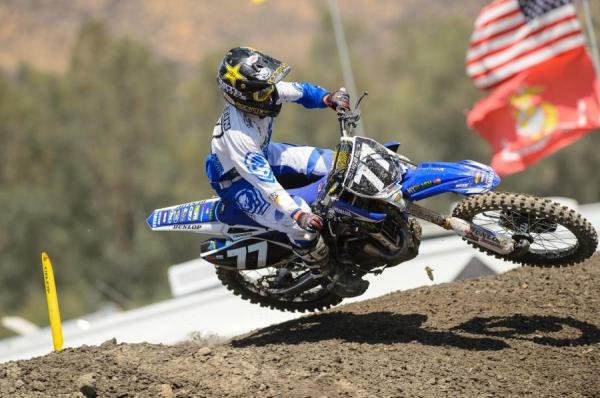 Martin put in a very strong ride to finish third ahead of his teammate Cooper Webb. 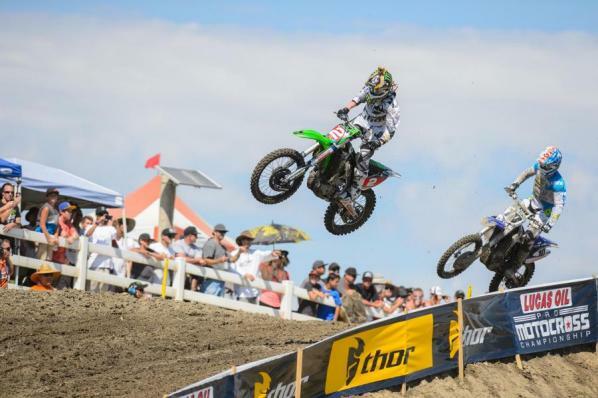 Adam Cianciarulo didn't have the best days. A crash in this moto relegated him to fourteenth, and after the moto he was banged up and was experiencing numbness in his arm, which prompted him to skip moto two. 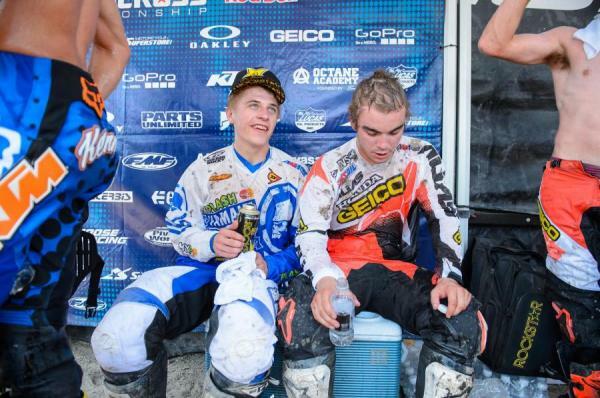 Martin and Osborne both had strong performances in the unrelenting Southern California heat, finishing third and fifth respectively. 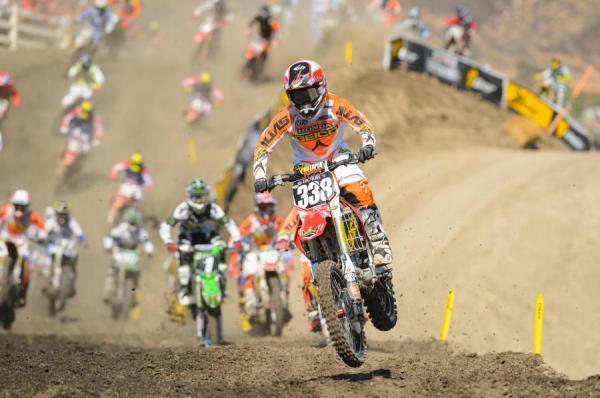 Zach Osborne banged out another holeshot in moto two, but fell off the pace early. He picked things back up for the second half and got several positions back to take fourth. 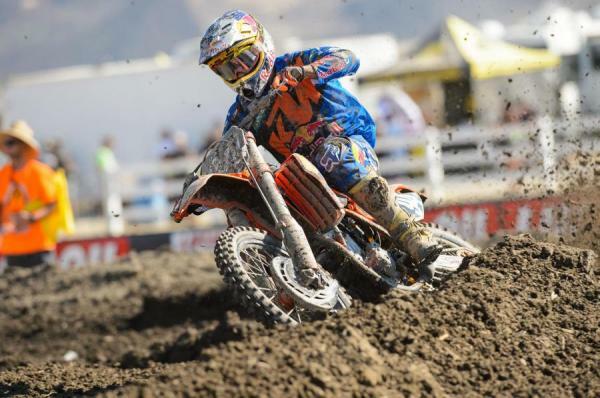 Blake Baggett, who got a bad start in moto one and eventually pulled out, came on strong in moto two. After taking the lead early he completely gapped everyone, and when Tomac started closing in Baggett responded by stabilizing the gap. He won the moto easily but was docked one position for jumping under a wheels-on-the-ground flag. Cooper Webb (175) led some laps early but started falling off the pace and lost a few positions. He got a spot back when Jason Anderson, who was running third after a terrible first moto, crashed hard and pulled out. 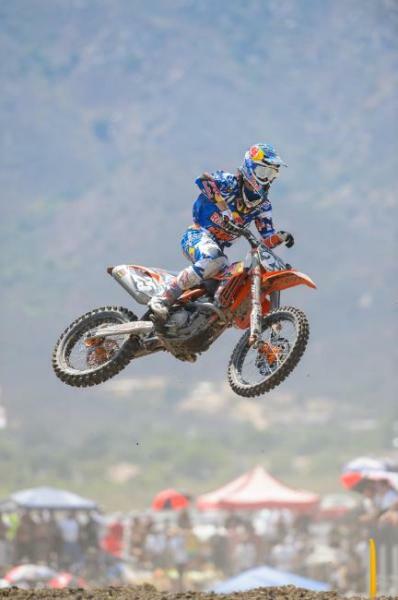 Webb picked up more steam in the second half and got back into third, which is where he finished the moto to take his first podium overall of the season. 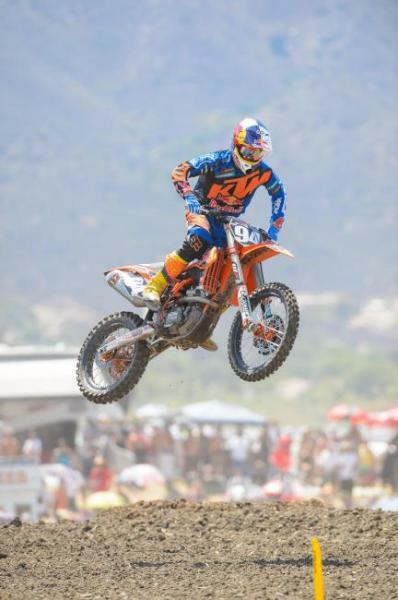 Ken Roczen just didn't have the speed he had in the first moto, and his lap times weren't competitive with those of Blake Baggett and Eli Tomac. 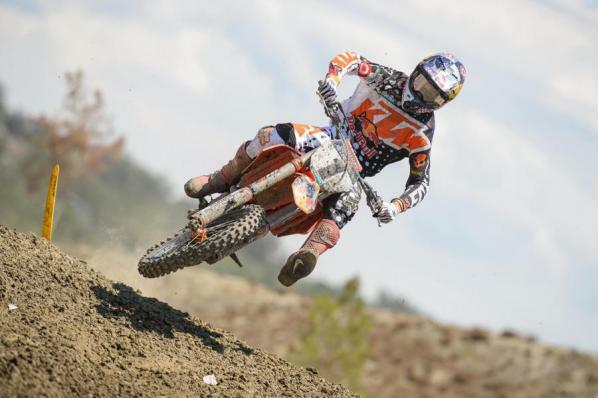 After a crash he finished the moto in seventh but somehow managed to still take second overall. 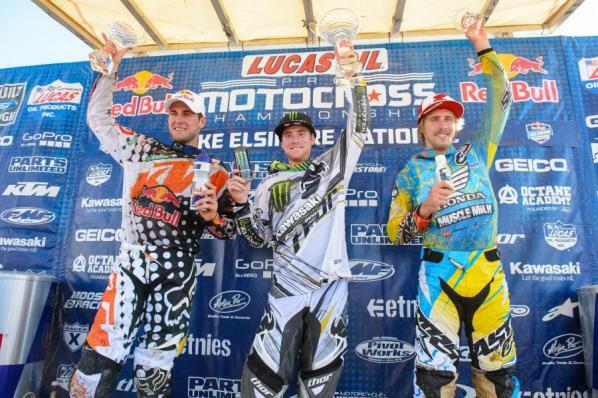 Tomac racked up another win, Roczen took second and Webb took the first, and last, podium overall of his rookie season.